“When I was in matric I became very sick and that is when I lost my hearing. I was very worried and sad. Where I live, in Nongoma, there are no deaf people,” says Sbonelo Ndwandwe. Sbonelo works at Checkers Amanzimtoti in the fruit & vegetable department. 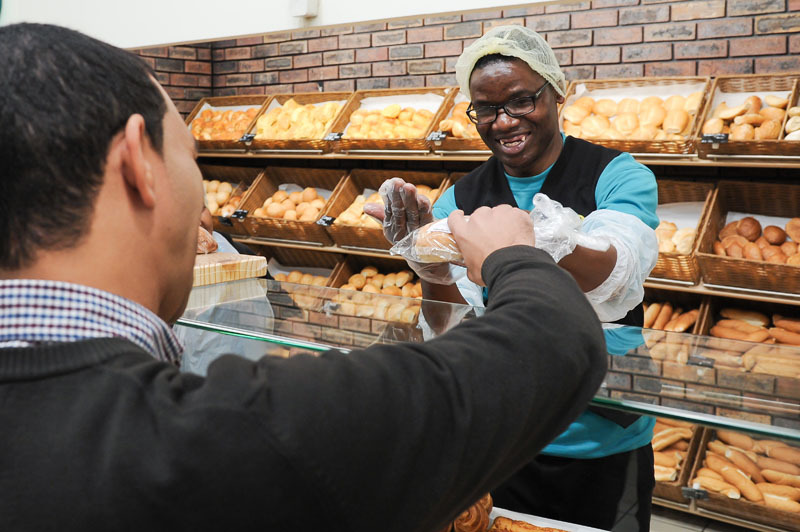 He is one of the 550 deaf and hard-of-hearing people currently employed by the Shoprite Group after successfully completing the NQF Level 2 Wholesale and Retail Chain Store Operation qualification. The Group was the first employer in the retail sector to offer this qualification, and it has been doing so in partnership with Employ and Empower Deaf (eDeaf) since 2009. 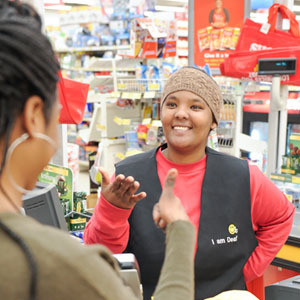 Learners are recruited and trained by a specialised team of deaf facilitators using South African Sign Language (SASL), after which they are placed in a Shoprite or Checkers supermarket for a one-year learnership. There are an estimated 500 000 deaf people living in South Africa and many are unemployed, so for most of these deaf learners it is their first entry into the workplace. 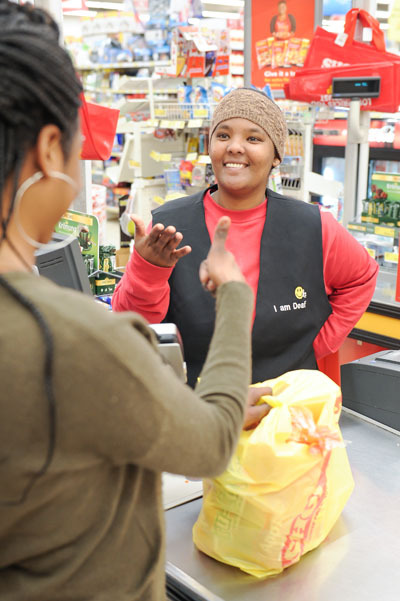 As the largest private sector employer in South Africa, the Shoprite Group is committed to ongoing skills development and will continue its Decade of the Deaf programme so that even more people may be empowered through gainful employment.